Our latest infotainment system, Touch Pro Duo* seamlessly integrates two 10” high-definition Touchscreens, allowing you to simultaneously interact with multiple features easily and conveniently. This innovative multimedia system features a responsive 10” Touchscreen that allows you to use touch, swipe and pinch-to-zoom gestures to control your maps, media and settings. It also offers intelligent voice recognition. 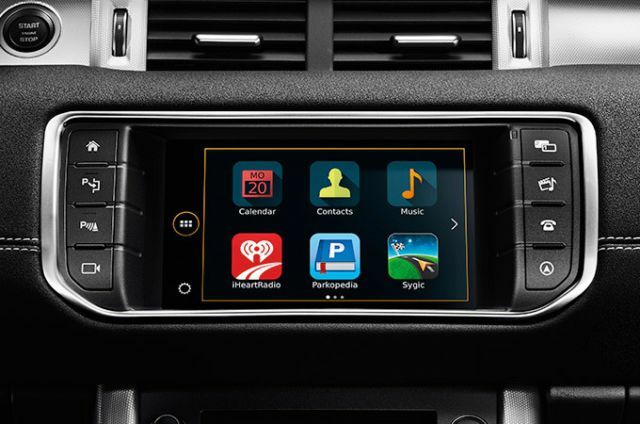 Touch is our multimedia and navigation system featuring an 8” Touchscreen with intuitive touch and swipe controls. New Touch Pro Duo, looks and performs like no other infotainment system. Delivering a wealth of information and entertainment, it features the most intuitive and advanced integrated technologies. 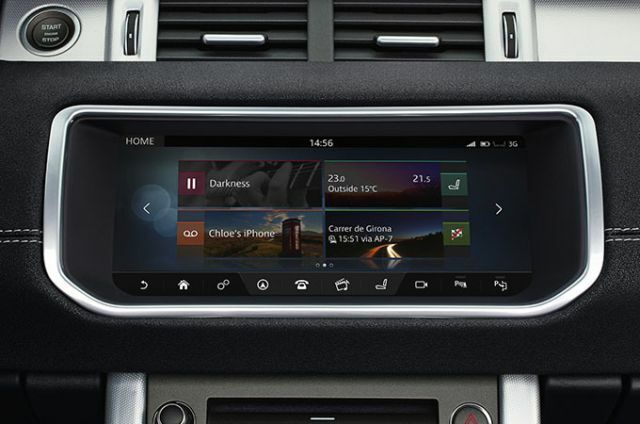 The new dual Touchscreen system allows you to simultaneously view and interact with multiple features. For instance, you can use the navigation system in the upper screen whilst playing media on the lower screen. The Touch Pro multimedia system is designed to make driving safer, smoother and more enjoyable. It uses a high resolution 10” Touchscreen with increased responsiveness to give effortless control over maps, media and settings. It also offers intelligent voice recognition so you can easily complete tasks without taking your eyes off the road. For total control of your in-vehicle environment, Touch links you seamlessly and securely to your vehicle when you are elsewhere. The multimedia hub hosts features and applications you need to deliver a more enjoyable drive. The 10" dual high-definition Touchscreens allows you to view required information whilst simultaneously being able to interact with additional features. For example, it allows you to interact with our advanced navigation system on the upper screen whilst controlling your phone calls on the lower. This newly enhanced Head-up Display is presented in high resolution graphics and full colour to optimise use. It presents key vehicle data such as your speed, gear position and navigation directions on the windscreen. The optional 12.3" high-definition Interactive Driver Display shows a vast amount of driving information and active safety data. It allows you to see a full screen map, as well as use your phone and control other media. Touch sensitive switches on the steering wheel allow you to adjust the volume, track seek and navigate the menu. The configurable button can be pre-set to a specific function such as “Home” destination or favourite telephone contact. The two new versatile Dynamic Dials adapt to the feature in use, providing the instinctiveness and convenience of rotary control to multiple features such as cabin temperature and Terrain Response. Meridian’s best-in-class car sound systems provide a consistently exceptional quality audio experience for all passengers in the vehicle. DAB radio offers improved sound quality, a wide choice of stations and live text information about the station you are listening to. The Digital TV feature allows you to enjoy your favourite TV shows; these can be watched on the Touchscreen in the front cabin and the Rear Seat Entertainment screens. *Only available for Range Rover and Range Rover Sport. Pre-set and store your favourite channels and listen with digital audio broadcasting to ensure the best quality radio within your vehicle. Your choice of digital television channels can be viewed from both the front and the rear of your Land Rover. Integrated Rear Sear Entertainment offers two independent 8 or 10” screens in the front headrests, with wireless remotes and headphones. Easily search for destinations and store favourite locations for quick access. 2D and 3D maps and voice prompts make the experience intuitive. You and all your passengers experience great sound from all sources, wherever you sit in the vehicle, with digitally corrected audio.